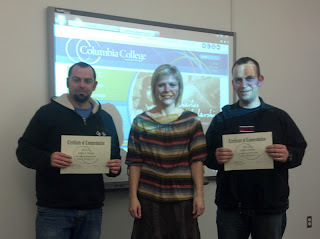 Dr. Remy Leonard (center) presents dean's list certificates to James Decker (left) and Chad Martin (right). 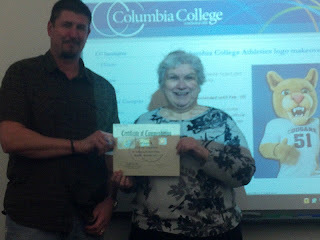 Three Columbia College-NS Everett/Marysville students were awarded their dean's list certificates by their professors. Professor Debra Polanco presents John Stedhmam with his dean's list certificate.